At my age (yes, I’m 43! ), a certified mom and definitely not a mountaineer, I was a bit hesitant joining the Mt. 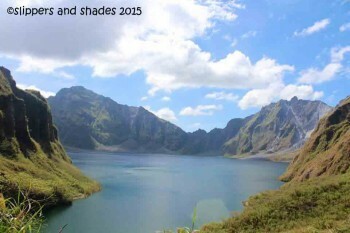 Pinatubo challenge headed by my office mate Phil. But I’ve been waiting for this adventure for quite some time and I’m not getting any younger. With the encouragement of these two sporty girls, Joyce and Janice, I whisked off all the negative thoughts in my mind, took a one-week regular body work-out and braved this exciting getaway with my colleagues.